Well, it is that time of year again! The FAIR Conference is just around the corner, and I thought I would take a few minutes to talk about what I am excited for in this year’s conference. And believe me, there is a lot to be excited for in this year’s line-up. First, FAIR is doing a few things different this year, and I am not just talking about the new location (which I am excited about, since it is closer to home for me, and it looks like a very nice venue). They are doing two panel discussions on what seem to me very timely issues. One, on the first day, about Mormon Feminism, and another, on the second day, on the “faith crisis” that has become a major talking point in the Mormon internet community these days. Panelist for the first discussion will include Valarie Hudson, an internationally renowned feminist, widely published political scientist, and was recently published in the Ensign; Wendy Ulrich, an accomplished psychologist (PhD), business woman, and author of LDS books; Neylan McBain, founder and editor of the non-profit Mormon Women Project, a business woman, and religion writer in both major national outlets and LDS venues; Kris Fredrickson, who teaches (at BYU and UVU) and publishes on Women’s studies, religion, and history; and Maxine Hanks – one of the infamous “September Six.” Yes, this panel is full of some heavy hitters. If you are interested in issues related to women and the Church, you will not want to miss this! The faith crisis panel looks to be equally exciting, featuring, again, Maxine Hanks, who recently returned to the Church after being excommunicated (with 5 other intellectuals) in September 1993; as well as Don Bradley, a brilliant Mormon historian who first lost his faith through history and then regained it; Bill Reel, a convert and Bishop who went through a faith crisis and now hosts a podcast meant to help others through similar struggles; and Janet L. Eyring. These are all people who have lost their faith and then found their way back. Again, if you or someone you know is currently struggling with their faith in the gospel, this panel is going to be a must hear experience! While FAIR has done panel discussions in the past, this will be the first time they have done any since I have been attending the conference (my first time was 2010), I am excited to be there for these important and timely discussions. Besides participating on the two panel’s, Maxine Hanks will also be giving a presentation titled “Working With the Church: Another Narrative.” As one of the famed September Six who are often held up as “Exhibit A” of the evidence that the Church is anti-intellectual, I am very interested in seeing what she has to say about her experience. Another speaker that peaks my interest is Seth Payne. Payne is a lifelong member of the Church, but he openly admits to not believing in the founding stories of the restoration. Nonetheless, he remains active and interested in the Church, and is presenting on “Why Mormonism Matters: Pastoral Apologetics and the LDS Doubter,” another presentation that I think should be of interest to those who are either struggling or know others who are struggling with doubt. Ralph Hancock, a very impressive conservative thinker and commenter on religion and politics, will discuss the necessity of political apologetics in light of Mormonism and the new liberalism. Given my political science background, I am very interested to see what he has to say. This year will also feature humor columnist Robert Kirby, writer for the Salt Lake Tribune, who will talk about why we Mormons should be willing to laugh at ourselves. I’ve been told that Kirby is a very good and very popular public speaker, so this should be a very good presentation. This year’s slate doesn’t just feature some of these interesting “outside-the-box” type presentations. There are also a number of solid presenters covering topics people have come to expect from FAIR. Don Bradley will discuss the historical setting and context on the First Vision – and I can promise you, he has something new and worthwhile to say on this topic. Ron Barney, Executive Director of the Mormon History Association and former Church Archivist, will also discuss Joseph Smith’s visions, and Lynne Wilson, who has an MA in Religious Studies and a PhD in Theology and American History will also discuss Joseph Smith in context of the Second Great Awakening. Having recently switched my major to History, and being very interested in Joseph Smith, these are some of the presentations I most look forward too. Others interested in Church history should also be eager to hear what these well researched scholars have to say about Joseph Smith and his history. 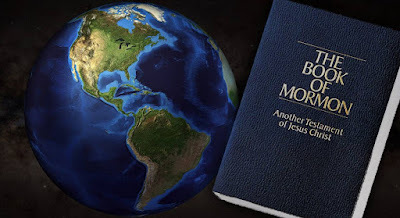 With all of that said, the Book of Mormon has always been my number one interest, and with that comes an interest in understanding how the Book of Mormon relates to the real world. With that in mind, one of the presentations I am most eager to hear is Mark Wright’s, on role of the “heartland” in the Book of Mormon. This doesn’t cover all the presentations for this year, but gives you a good sampling. You can see the full line-up and speaker bio’s on the FAIR website. It is going to be an exciting conference this year, and I would encourage anyone with an interest in the topics I have mentioned here, or any of the other topics being covered by this year’s speakers, to attend. The conference will be on August 1-2 (a Thursday and a Friday) from about 8:00am to 5:30pm both days. Tickets can be purchased through the FAIR Bookstore, with the option of getting lunch included (which can be pretty convenient). If you can’t attend for whatever reason, there is also online streaming available.